They’re all centered around a common theme I hear from designer friends, coworkers, and my podcast guests who work in fashion. So today, I’m going to do just that. 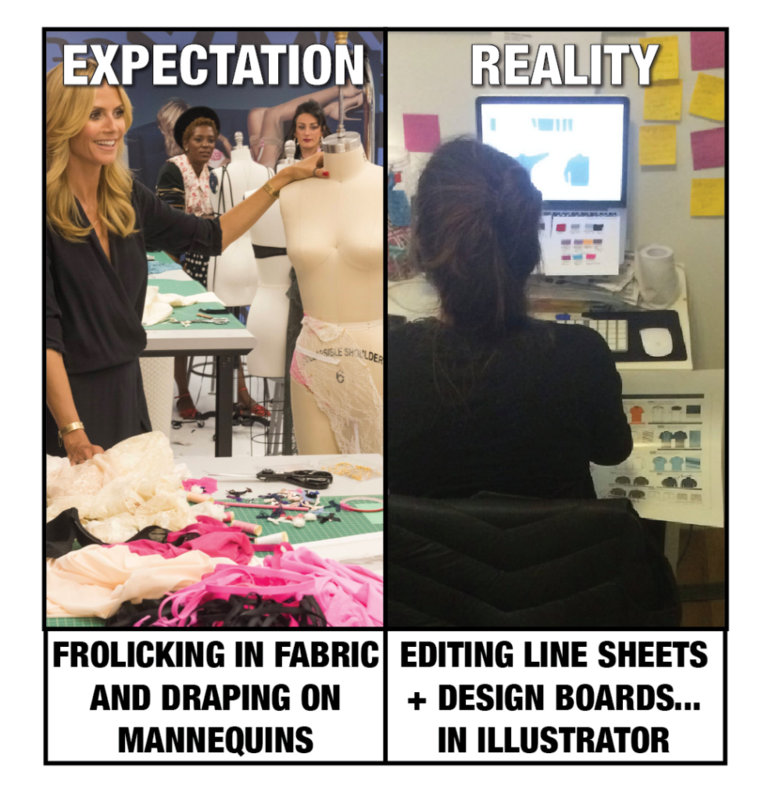 Because what you see on Project Runway and what you learn in fashion school…is COMPLETELY different than what it’s like actually being in the industry. By telling you this, some people may think I’m a dream crusher. In reality? The only way I’d be a dream crusher is if I DIDN’T tell you. Because if you KNOW what’s coming? You have a secret weapon. You can be better prepared for success. But if you DON’T know what’s coming? You’re living a fantasy life, frolicking along your merry way, and them BAM. Reality hits you like a ton of bricks. It hurts. It stings. It knocks the wind out of you. A lot of designers fall down flat and never get back up. AND THAT IS DREAM CRUSHING. 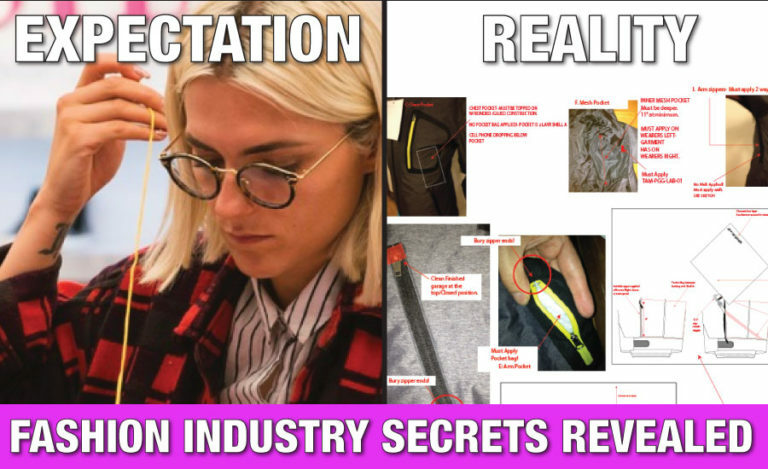 Expectation versus reality of working in fashion so that YOU can be better prepared for success in this cutthroat industry. Shopping spree at Mood VS buying the competitor’s designs. 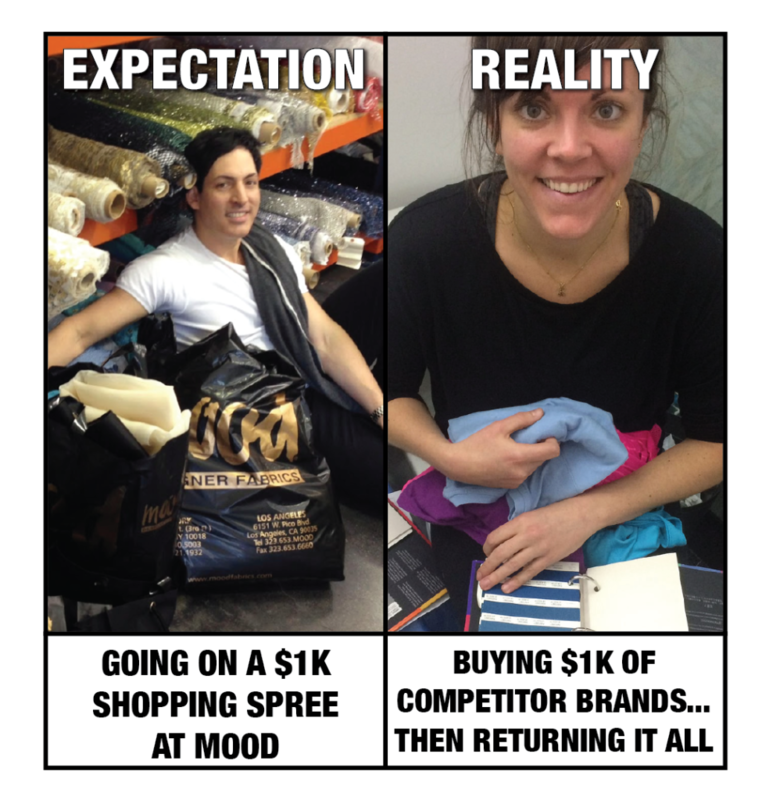 REALITY: You buy $1000 worth of “inspiration” from the competition…and then have to return ALL of it. Awkward, embarrassing, and happens ALL THE TIME. Drawing by hand VS drawing flats in Illustrator. EXPECTATION: You get to doodle beautiful fashion illustrations on paper all day long. 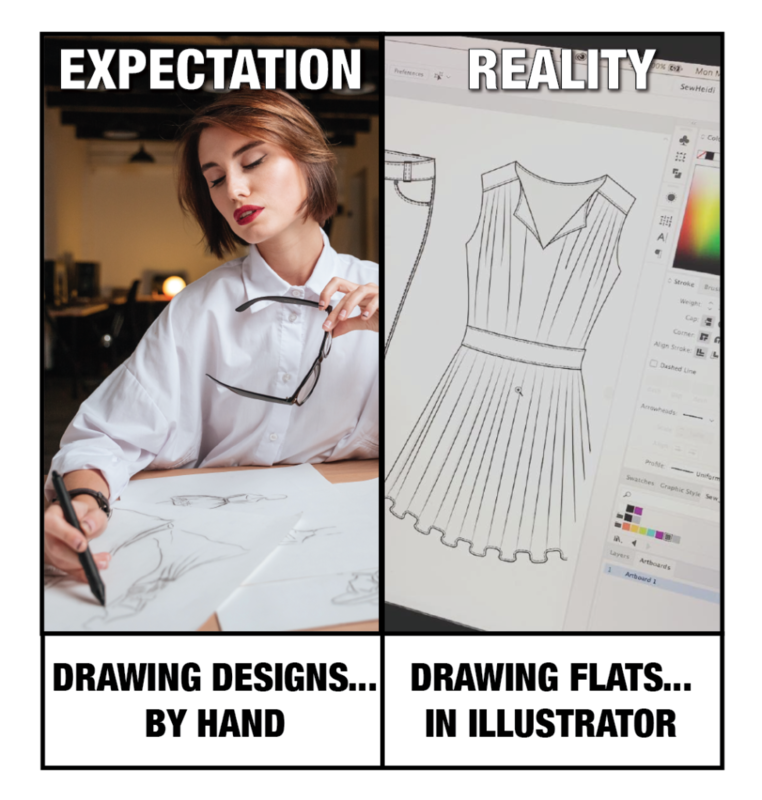 REALITY: You spend 20+ hours a week sketching flats in Adobe Illustrator. Frolicking in fabric VS editing line sheets in Illustrator. EXPECTATION: You get to play with rolls of fabric and drape it on mannequins. REALITY: You layout line sheets and presentation boards in Illustrator for design and sales meetings. 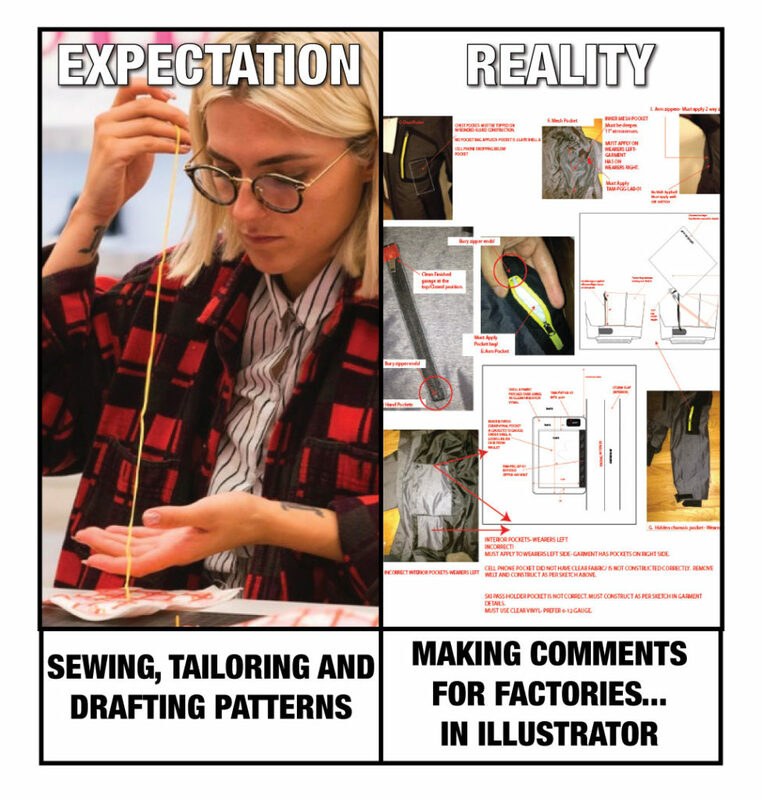 Sewing and drafting patterns VS making comments in Illustrator. EXPECTATION: You get to draft patterns and sew your own designs. REALITY: You make fit and construction comments in Illustrator to send to the factory. Fashion is still a pretty cool industry to work in. It’s fast paced. It’s challenging. It keeps you on your toes. Knowing what I know now after designing for over a decade? I’d do it all over again. 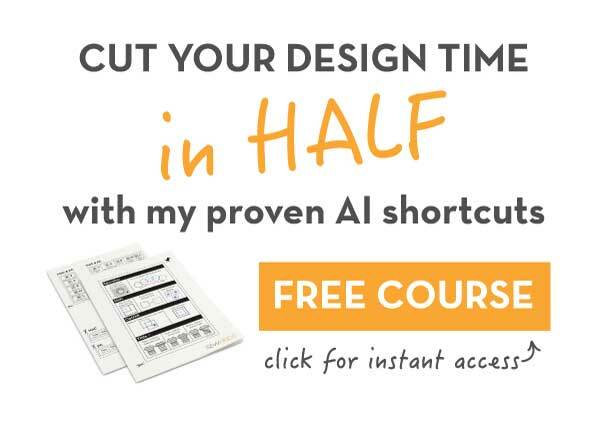 Because even if you’re not drawing by hand and sewing your own designs? There’s still no feeling in the world like seeing a FINISHED garment YOU designed…even if you sketched it in Illustrator and a factory made it. 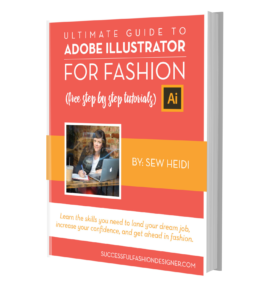 If you want to work in fashion, Illustrator proficiency is required. It doesn’t matter how good your hand sketching or sewing skills are…you must be able to sketch in AI. And you have to be fast. Don’t believe me? I reviewed 20 fashion job postings on StyleCareers.com. Not ONE listed hand sketching. But 90% of them required Illustrator. So if I were trying to break into or get ahead in fashion? My #1 priority would be to ramp my Illustrator skills WAY up. And of the hundreds of designers, hiring managers and recruiters I’ve talked to over the years? Which is why I am SUPER pumped to tell you I’ve been working on something new for you. It’s the biggest piece of FREE Illustrator content I’ve EVER put together. In the meantime, I would love to know YOUR perspective. What do you “expect” working in fashion will be like? Or if you’re already in fashion, what’s one “reality” that’s completely different than what you thought it was going to be?